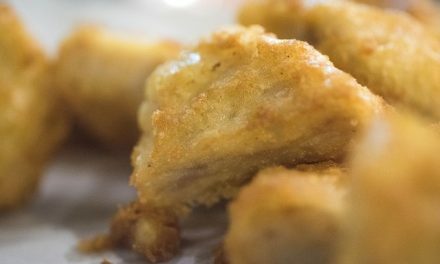 People from other cultures are surprised at what Americans are reluctant to eat. After years of culinary adventures abroad, I tend to share their thoughts. Foods popular in other countries but not with Americans include an animal's innards, stinky cheeses and many vegetables rich in important antioxidants and fiber. Given these aversions, the relative speed with which Americans have not only accepted but have enthusiastically embraced edamame is striking. Certainly, when I first tasted these bright green, plump and sweet-tasting soybeans while dining in a Japanese restaurant in 1995, I never dreamed that today I would be suggesting using them in a salad to serve over the Memorial Day weekend. Indeed, it took us nearly 10 years just to learn how to pronounce "ed-a-MOM-eh." Still, most supermarkets now sell them frozen both in the shell and shelled, raw or fully cooked and even in a dry-roasted snack version. Most Americans first discovered edamame at Japanese restaurants that presented them as an appetizer before sushi. Their mild, slightly sweet flavor won people over. It probably helped that popping them out of their fuzzy pods was fun, too. Then we learned that edamame are as easy to use at home as frozen green beans. Shortly after this, soy madness hit, thanks to news that eating soy foods could help reduce blood cholesterol levels and cancer risks, and even relieve menopausal symptoms. But many of these claims have been contradicted by more recent studies, so it's probably best to consider edamame as one more vegetable, among many, to include in your diet for pleasure as well as good nutrition. While research to support these benefits has not turned out to be as conclusive or as positive as anticipated, soy remains the highest quality, non-animal protein, and edamame one of the easiest, most delicious and fiber-rich ways to enjoy soy. 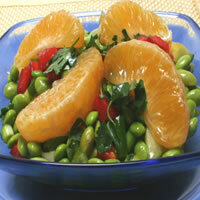 In addition to this colorful salad, you can also add edamame to soups, pasta dishes, or use as a between-meal munchie. In a large pot of boiling water, cook the edamame according to package directions. Drain in a colander, running cold water over the beans to cool them. Drain well and transfer the edamame to a mixing bowl. Add the radishes, cucumber, red pepper and scallions. Toss lightly to mix and divide evenly among 4 salad plates. Separate individual segments of the orange. Arrange orange segments on top of salad. Grate 2 teaspoons of zest from the top, orange layer of the orange rind that was reserved. In a small bowl, whisk together the zest with the vinegar, soy sauce, oil and orange juice. Season to taste with salt and pepper. Drizzle the dressing over the salad. Sprinkle cilantro on top and serve immediately. 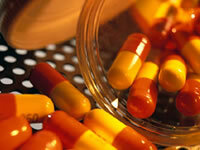 What’s in that Weight Loss Supplement?